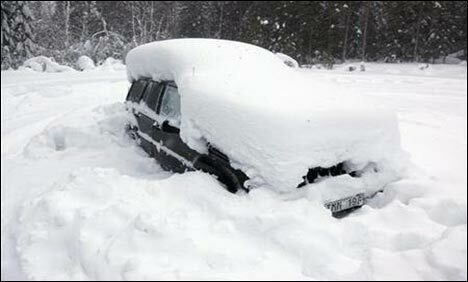 STOCKHOLM: A Swedish man was dug out alive after being snowed in to his car on a forest track for two months with no food, police and local media reported. "Just incredible that he's alive considering that he had no food, but also since it's been really cold for some time after Christmas," a rescue team member told regional daily Vasterbottens-Kuriren, which broke the news. "We would not make something like this up. The rescue services were on site too and saw the same as us," he told Vasterbottens-Kuriren. "A bit like a bear that hibernates. Humans can do that," he said. "He probably had a body temperature of around 31 degrees (Celsius) which the body adjusted to. Due to the low temperature, not much energy was used up."